The College of Medicine’s career advising system integrates the efforts of faculty members, clerkship directors and student services staff to assist students in choosing elective courses, evaluating career options and applying to residency programs. The career advising system ensures that students are made aware of the needs of the Canadian population through a variety of activities, settings, and resources including curricular and extra-curricular sessions, one-on-one confidential advising appointments, small group seminars, large events, and web resources. The Career Advising Guide for MD Students provides an overview of the College of Medicine’s career advising system, a career planning timeline spanning across the four years of medical school, an explanation of the career planning framework, a list of mentoring programs and descriptions for supports that are in place for students. Through Careers in Medicine® (CiM), the Association of American Medical Colleges (AAMC) provides resources that help students channel their passion, learning, and investment into a fulfilling medical career. CiM is a comprehensive online repository of curated tools, guides, databases, and resources designed for medical students and residents. CiM is designed to complement the career planning and advising services offered at the College of Medicine. In collaboration with the SMSS Interest Groups, Career Dialogues offer information to the students, over the lunch hour, about residency programs. One department per session is invited to provide a description of their program and host a question and answer period where they may cover topics such as matching, competitiveness, research opportunities, lifestyle, work hours, culture, etc. Saskdocs.ca will be present to provide employment outlook information and Specialist Fact Sheets on Saskatchewan specialties. Participants include, but are not limited to: Anesthesia, Cardiology, Emergency Medicine, Family Medicine, Internal Medicine, Medical Imaging, Neurology, Neurosurgery, Obstetrics/Gynecology, Ophthalmology, Orthopedics, Pathology, Pediatrics, Psychiatry, Plastic Surgery, Physical Medicine/Rehabilitation, Respiratory Medicine, Rheumatology, Surgery, Urology and ENT. The specialty profiles contain summary information on Canadian physicians’ practices including workload, income, and satisfaction, as well as information on educational requirements, supply and demographics. These data, along with further links within these documents, are useful to medical students as they plan their future careers as well as to healthcare researchers and others seeking information about specialists. Saskdocs is a government funded, not-for-profit physician recruitment agency that recruits doctors to the province in partnership with employers like the regional health authorities (health regions), affiliated organizations such as the Saskatchewan Cancer Agency (SCA) and professional organizations like the Saskatchewan Medical Association (SMA). Community Practice Profiles give students and medical residents a general overview of the primary care services in communities and the features of the practice. You can also express interest in a particular community through your saskdocs profile to receive notifications of practice opportunities. Resident Doctors of Canada has created resident profiles with first-person accounts intended to help learners with their career decision-making process and to understand what it is really like to be a resident training in various specialties by presenting the personal experience of a Resident Doctor. 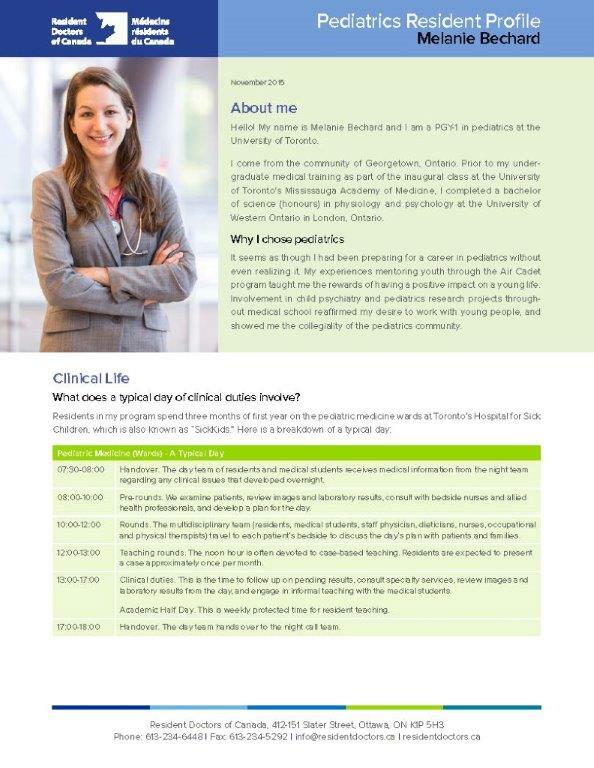 The profiles include a synopsis of clinical life from the perspective of what typical day-to-day duties involve, a week at a glance, what personality characteristics are helpful in that particular field, the best/most challenging aspects of that residency, and an overview of non-clinical life such as work-life balance and academic interests. The Canadian Society of Physician Leaders (CSPL) is known as the “go to” organization for physician leaders. The organization has been providing support and development opportunities for Canadian physicians to help them succeed in their leadership and management roles in health care since 1998. When medical students begin applying to the Canadian Resident Matching Service (CaRMS) to begin the application process, they will need to create a CV as part of their application. There are several documents that make up the residency application; the CV is included in the “Extra Documents” section. Always check the preferences for the residency program descriptions before assigning extra documents as some programs would like to see specific documentation and some do not want to review extra documents. Don’t forget that CV Review appointments are available to you at any time - just schedule an appointment in the 'Contact' section below with one of our advisors! The MD Student Personal Letter Guide provides you with templates and tips for creating well-written personal letters to be used in the residency application process. Your personal letter discusses the reasons why you have chosen a particular training program. Each program has preferences regarding what it should contain such as word count and questions that need to be addressed. Check the individual program descriptions at carms.ca. Don’t forget that Personal Letter Review appointments are available to you at any time - just schedule an appointment in the 'Contact' section below with one of our faculty career advisors! Preparing for the three week period of national CaRMS interviews can be daunting! The MD Student Interview Guide provides tips for before, during, and after the interview. The out-of-town interviews are generally scheduled from mid-January to the beginning of February so OCA&M one-on-one mock interviews are offered to Year 4 students from mid-December to mid-January at both sites. The CMA/SMA also offer a mock interview weekend, in both Saskatoon and Regina, during the first week in January and we recommend taking advantage of both preparatory services. The College of Medicine Mentoring Programs are dedicated to enhancing, supporting and growing the academic environment by establishing a culture of mentoring at the College of Medicine, which will, among the others, benefit and promote Saskatchewan as the best place to live and practice Medicine. To support the academic success of students during their transition to the College of Medicine and to support their continued academic achievement through graduation. To build community by creating a more inclusive campus environment and by addressing the cultural needs of new students. The P.E.E.R.S.i.M. Mentoring Program is a peer support program designed to match first year students with upper-year students, with a goal to create a supportive community among students. Becoming a mentor requires a change in consciousness — i.e., how you think about yourself and how you think about others. Mentoring is not a matter of working harder or longer or adding to your job responsibilities but seeing your work differently. Mentors can be found among faculty and professional staff, but mentors can also be found in the ranks of students themselves. Student mentors are known as Peer Mentors. Due to their close association with other students, Peer Mentors are very important. 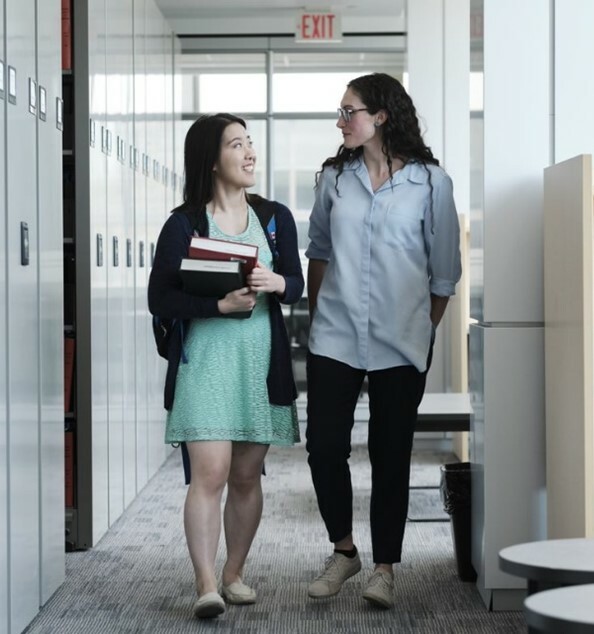 Often new students confronted with an academic or personal problem will seek out advice first from a Peer Mentor and only with encouragement will that student contact others in the university, such as counselors, faculty, or administrators. Learn and benefit from the experiences of others. Gain insight that may aid you in making informed choices in your future residency. To become a Peer Mentor, an experienced student does not have to do extra work but to think about their interactions with fellow students in a new way. The P.E.E.R.S.i.M. Mentoring Program is dedicated to engaging and empowering first-year students to successfully navigate their College of Medicine experience. Increased self-esteem and confidence when dealing with new people and situations that come with the college experience. How do I become a Student Mentor? 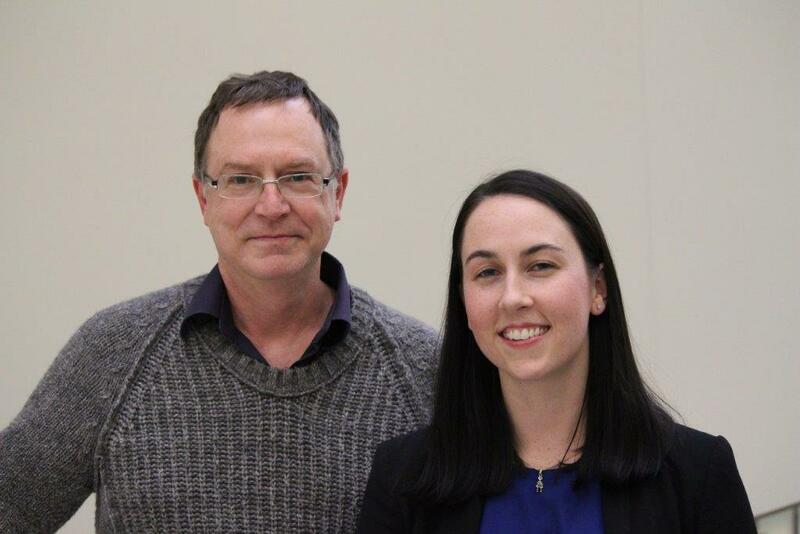 The Student-Physician Synergy Mentoring Program pairs a uSask MD student with a practicing physician in a formalized mentoring relationship. Mentors not only have the opportunity to influence the future of healthcare, but both research and experience suggest that mentoring relationships lead to increased job satisfaction, a new fond interest in one’s work and self-development. The Synergy Mentoring Program pairs a U of S MD student with a practicing physician in a formalized mentoring relationship. The goal of SYNERGY is to inspire learning and encourage lasting relationships by facilitating mutually beneficial interactions between the students of the College of Medicine and the physicians of Saskatchewan. Students will benefit from the advice and guidance of experienced physicians. Physicians will be able to support the development of a new generation of physicians. The province will benefit as a larger proportion of the College of Medicine medical trainees choose to establish practice in Saskatchewan. uSask MD students have the opportunity to make a difference in the life of a Saskatoon child and to contribute to the community outside of the university. The program involves mentoring in a student’s elementary school and being a positive role model in their life. Mentors are asked to commit to a visit once a week, but it can be flexible if something prevents a mentor from attending on a regular day. A mentor’s chosen time during the week can also vary based on their availability and what is arranged with the student’s teacher. A mentor can be placed at a variety of schools across the city, based on their preferences. Many mentors from the College of Medicine are located at St. Michael’s on 33rd Street, which has an amazing staff and numerous activities for mentors and mentees. Possible activities include going outside to play sports, board games, gym activities, cooking, crafts, computers, joining them on field trips, reading, etc. Sign up today as there are many more children still waiting for mentors! Not only do mentors impact the lives children in a tremendous way, having volunteer and leadership experience in the community is important when applying for the residency match. To sign up for the BBBS mentorship program or for more information, email school mentoring caseworker, Jennifer Humble. Please indicate that you are an MD student at the College of Medicine. If you have any questions or would like to sign up, please send us an email. Intended primarily for Year 3 MD students, appointments are available with one of our Career Advisors in person or via teleconference for 30-45 mins to help students outline/refine a plan for Year 4 electives, refine specialty options, and discuss elective decision-making strategies. For details regarding policies and procedures visit the College of Medicine’s Electives page. Electives are an excellent opportunity to get hands-on experience in a variety of settings and can assist students in choosing a specialty. Applications for Visiting Electives have moved to the AFMC Student Portal and the College of Medicine no longer processes paper applications. The Electives Planning Worksheet is a great way to get started with a draft of your plans. Mandatory Residency Application Review appointments with Year 4 MD students are scheduled with faculty members to review drafts of your CV, personal letter, and to discuss a competitive match strategy. 45-minute appointments are available in-person, via video conference, or via phone. The Match Book, created by the Canadian Federation of Medical Students, currently in its 8th edition, intends to provide an introduction to the Canadian residency match process, present an overview of the major steps involved, and aid Canadian medical students' at various stages of training in planning their strategy for matching in their preferred programs. New for the 2017 Match - all University of Saskatchewan residency applicants must complete a CASPer™ (Computer-Based Assessment for Sampling Personal Characteristics) test. CASPer is an online test which assesses for non-cognitive skills and interpersonal characteristics. Tests dates and fees can be found on their website. Please note these are the only testing dates available and no additional tests will be scheduled. CASPer test results are valid for one year. Direct any inquiries on the test to their support email. The R-1 Main Residency Match report is made available to the public by CaRMS for informational purposes related to the first and second iterations of the match. The R-1 match report provides information to faculties of medicine and applicants on match trends and results, as well as results from previous years’ matches. The Office of Career Advising and Mentorship (OCA&M) Career Advisors are trained to use the Careers in Medicine® framework for advising medical students and will help students, in a confidential capacity, work through the steps of understanding themselves, exploring their options, choosing a specialty, and preparing for residency. 30-minute appointments available by request in-person, via video conference, or via phone. Year 3 MD students must integrate what they learn about themselves with what they learn about specialties and experience in clinical rotations. Elective selection begins in November of a medical student's third year. This appointment is meant to help students think through what they are looking for in a specialty and career, including which elective experiences may have been a good (or bad) fit and what other experiences or information they need to start narrowing their specialty options. Career Advisors can assist students in choosing electives that will align with their overall plan, but are limited in the other aspects of academic advising and the types of personal issues they can assist students with. AAMC (2016) defines a curriculum vitae (CV) as a summary of an MD student’s background and accomplishments related to their academic and work experience. It is one of many supporting documents MD students will need for the residency application process or to apply to research experiences, scholarships, honor societies, and other medical school opportunities. Creating a CV takes time, but it’s a tool physicians use throughout their professional life to present a complete but succinct summary and highlight of their qualifications. It’s a living document that represents an individual student. Properly constructed and with periodic updates, the CV you develop now will evolve throughout your career. 30 minute appointments are available in-person or documents can be reviewed via email. CaRMS.ca (2017) states that personal letters are written by applicants to introduce themselves to programs and to express interest in a specific program and/or discipline. It outlines the reasons why a student has chosen a particular training program. Each program has preferences regarding what the personal letter should contain. Preparing for your residency match interviews requires preparation and practice well before Year 4. Career Advisors will help students with learning the basics, going through questions to practice, and provide feedback for improvement. One hour in length available in-person, via video conference, or via phone. Meet with a saskdocs recruiter to learn more about employment outlooks, career planning tools and tips. 30-minute consultations are available for students in all years; in person or by phone. Note: Career Advisors meet with current MD students. If you have questions regarding Admissions, please contact U of S Medicine Admissions.